Happy Thursday! 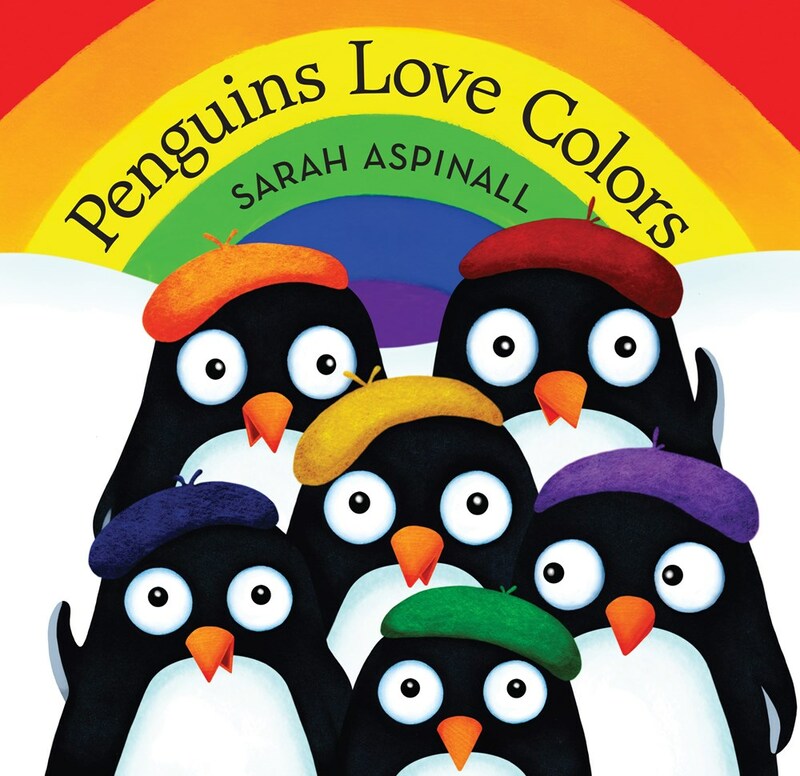 I am celebrating PENGUINS and COLORS with debut author-illustrator Sarah Aspinall. I wrote the words in purple, and she wrote the words in black. Many thanks, Sarah! 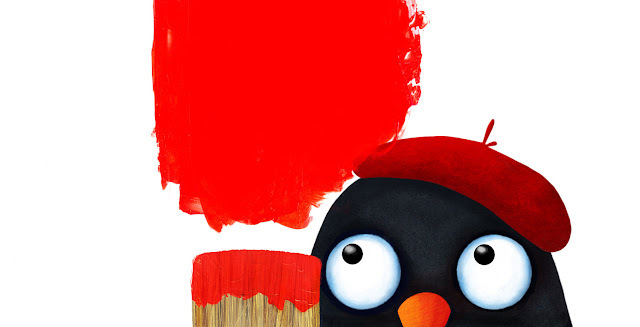 The book trailer for Penguins Loves Color is (hopefully) lots of fun to watch! 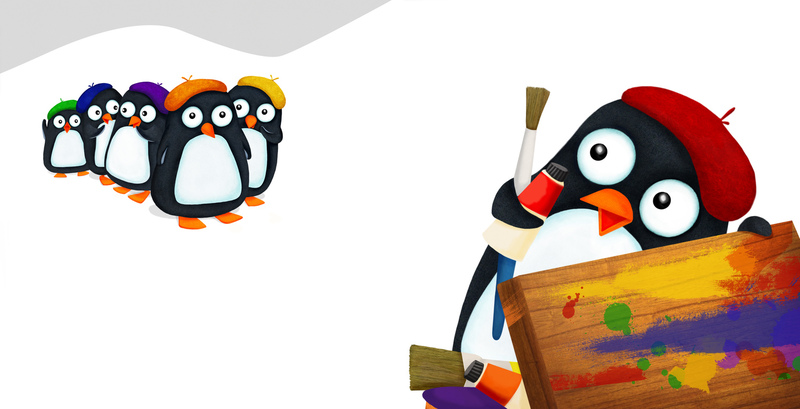 My little penguins are full of character and energy and I just love seeing them bouncing around. It was great working with Cynthia Nugent of Rascal Media to get this video just the way I wanted it: bright and cheerful with joyful bursts of color, capturing the feeling of the book. 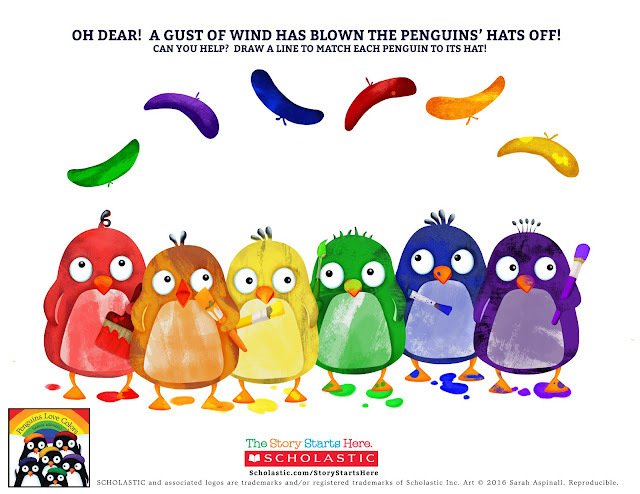 I hope it encourages people to seek out a copy, so that they can find out more about what those penguins are up to! I am also hoping to have an animated television show about them one day. I can just imagine them chattering away, can’t you? I feel like they have a lot to say to us all, and plenty of adventures ahead. Tulip, Tiger Lily, Dandelion, Bluebell, Violet and Broccoli are loosely based on my brothers and sisters. I am the eldest of eight -- the two youngest were born when I was in my teens -- so the majority of my childhood memories are with the six of us. I was the bossy one with the big ideas and the others were happy to follow along (at least that’s how I remember it!). I even wore a red beret like Tulip! In fact, continuing with the color theme, because there were so many of us, my mother bought us jumpsuits to wear when we played outside to keep our clothes clean, and guess what? We each had a different color! We spent a lot of time outside in our collective rainbow outfit and became very adept at using our imaginations and making our own fun! My parents much prefered that we did the messy stuff in the garden, so we used our paints, chalk, clay, paper, glue, glitter and markers to make all kinds of creations! I created the illustrations on the computer, which I have never done before. I used to make collages and before that worked three-dimensionally. I like to think that the illustrations in the book are a sort of digital version of a collage. I love using textures and patterns to make bold, graphic work. The idea of a black and white animal living in what is essentially a blank world, like a big white canvas or piece of paper, is just so satisfying. ESPECIALLY when they slowly introduce one color at a time, and build up to show all of the colors together. 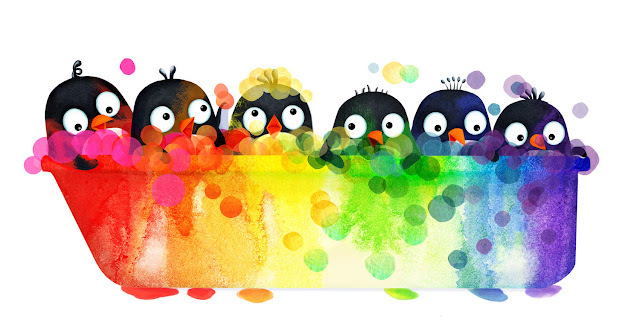 Did you know that there are approximately 17 different types of penguins? Not all of them live in the cold like mine do -- in fact, the smallest breed of penguin, called a Fairy Penguin- (the biggest ones grow to just 13” tall, with a maximum weight of 3.3 lbs! ), lives in Southern Australia, Tasmania and New Zealand. Picture books help us to connect, communicate, understand, learn, laugh, remember, feel, express love for one another and form a creative point of view--they are truly limitless. I first understood just how powerful a picture book could be when I took a class at RISD called Picture and Word. I will never forget day one when Judy-Sue, an amazing lady who has inspired me beyond measure, introduced us to a spectrum of wonderful picture books, but finished by reading aloud Annie Bananie by Leah Komaiko (Illustrated by Laura Cornell). By the end of the book she was moved to tears and I was surprised to find that I was too. Taking that class was a truly pivotal moment in my life and I have not stopped writing, illustrating and collecting picture books ever since. Mr. Schu, you should have asked me…"Do you have any more plans for your penguins?” Yes, I certainly do, Mr. Schu! Lots of ideas and exciting plans; in fact, the second book, Penguins Love Their ABC’s will be coming out this October, 2017! Stay tuned by visiting my website. 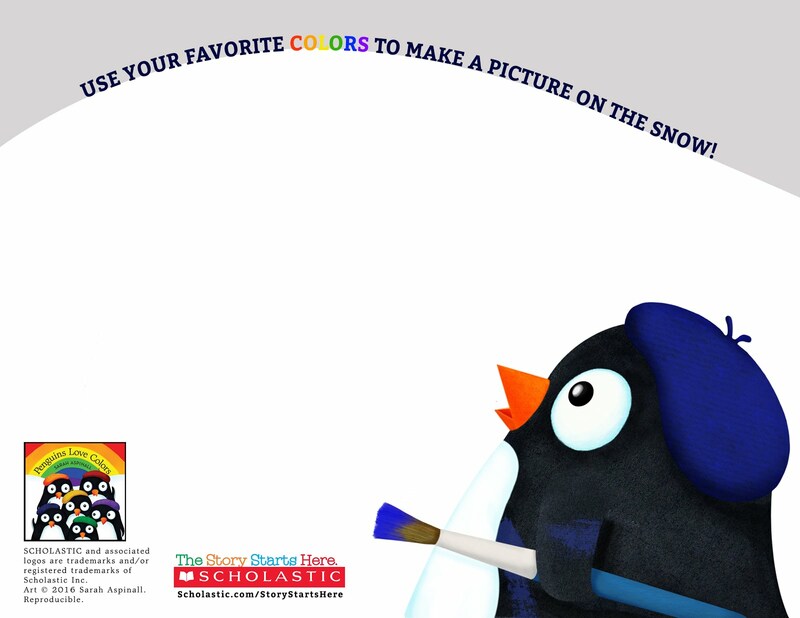 Borrow Penguins Love Colors from your school or public library. Whenever possible, please support independent bookshops.